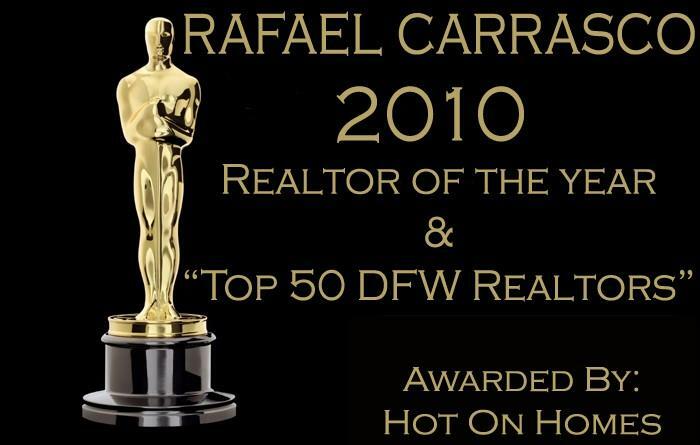 We are excited around here to share with all of you some of the recognition your hard working & friendly local real estate broker, Rafael Carrasco has been awarded! Rafael has always enjoyed selling homes & even more so helping his clients wade through the recently "murky" waters of real estate. It is rewarding to hear that his honest commitment to his clients & hard work is being recognized by his Alma Mater. He desire's to continue offering his clients the same honesty, integrity & hard work that has been making their home buying experience easy for the past 12 years. Ringing true to Rafael's motto, "Home Buying The Easy Way". Please watch the video & read the article published below by The University Of Houston to see & hear what they have to say about Rafael. The Sales Excellence Institute at the University of Houston C. T. Bauer College of Business kicked off a week of “sellebration” on May 3 to mark its 15th anniversary, with an event to announce the Top 15 Distinguished Alumni. The group is the first to be inducted into the SEI Alumni Hall of Honor and was selected by a committee based on sales performance, public service in the community and involvement with the program. “We’re excited to honor so many terrific alumni and show what a fantastic group of people and a fantastic family we’ve developed here over the past 15 years.,” said Michael Ahearne, executive director of SEI. Please, join Carrasco Real Estate Co. & The University of Houston in "Sellebrating" our very own Rafael Carrasco. The University of Houston has voted Rafael the very 1st into & ranked #1 by the University's Distinguished Alumni Club of the Sales Excellence Institute at the University of Houston C. T. Bauer College of Business. Although, Rafael has moved on from Sales Manager at Pulte Homes to establish our thriving real estate company, Carrasco Real Estate Co. He still has strong connections with the current company's managemnt & all of the wonderful men & women who worked with him during his time of employment. Click here to see other Alumni. ©2009-2019 Carrasco Real Estate Co.